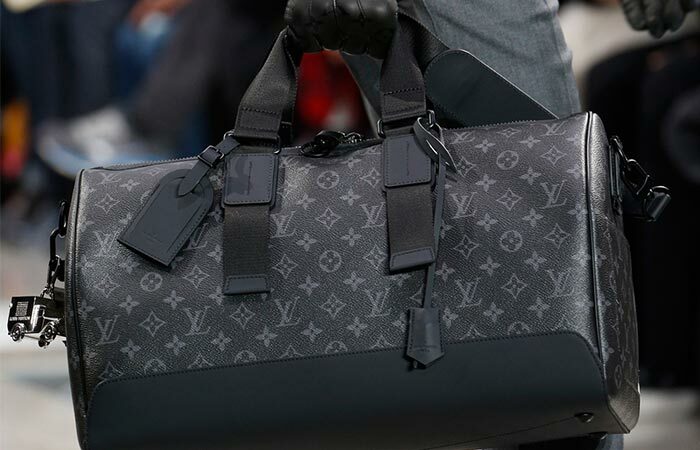 Packing for weekend trips has never been so efficient and stylish as with the Louis Vuitton Keepall Voyager Bag. This light and easy to carry bag was inspired by the classic Keepall, this time in nice grey and black details and a new fabric. Louis Vuitton Keepall Voyager Bag has a sporty and classy look and is crafted out of Monogram Eclipse canvas and Taiga cowhide leather. This go-to duffel bag is ready for compact packing and inside you can easily fit a few days worth of clothes or gear. Louis Vuitton Keepall Voyager Bag features the new Monogram Eclipse canvas in a cool black and grey color, with a well-recognized pattern. Some of its other features are a double zip closure with padlock, fabric handles and an adjustable, as well as removable shoulder strap. Inside the bag, you’ll find a zippered pocket and a double flat pocket, perfect for packing your documents, wallet, phone, glasses, or other items you need separate from the rest of the things. A nice leather name tag is there just in case your bag gets lost. 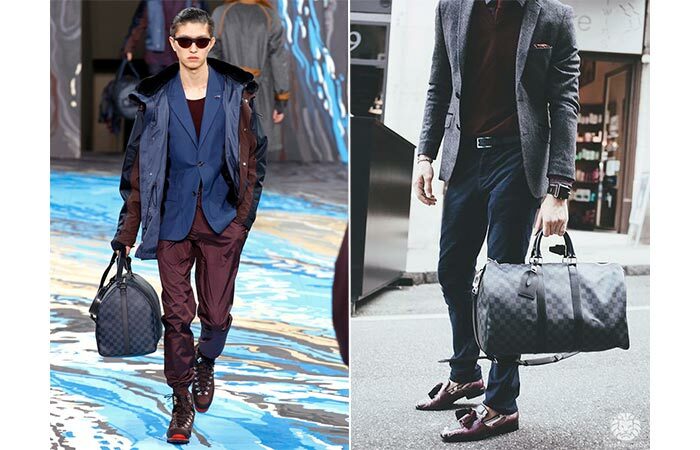 The dimensions of Louis Vuitton Keepall Voyager Bag are 17.7 x 10.6 x 7.9 inches. The bag is easy to pack and carry and has plenty of room and pockets inside.